Geoffrey Alderman is an academic and journalist specialising in modern British and European history and British and American politics. He is an internationally acknowledged authority on voting behaviour, pressure groups and the impact of religious and ethnic groups on political life. He has also written extensively on problems of quality and standards in university education. Geoffrey Alderman studied history at Oxford, where he completed his BA and DPhil; amongst his teachers were Sir Martin Gilbert, AJP Taylor and Dr Cecil Roth. From 1972 until 1994 he taught history and politics in the University of London, at which in 1989 he was promoted to a Personal Chair. 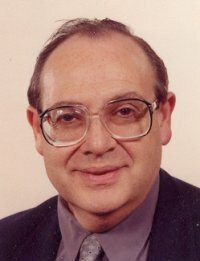 From 1989 until 1994 he was Chairman of the Academic Council of the University of London and (1992-93) Pro Vice-Chancellor for Academic Standards. In 1994 he accepted appointment as quality supremo at Middlesex University, where he became Pro Vice-Chancellor (Quality & Standards). In 1999 he crossed the Atlantic to become Vice-President of Touro College, New York, and in 2002 he re-crossed the Atlantic to become Senior Vice-President of American InterContinental University London (2002-6). In June 2007 Geoffrey joined the University of Buckingham as Michael Gross Professor of Politics & Contemporary History. In 2014 he was appointed Principal of Nelson College London. Geoffrey holds a number of visiting and emeritus professorial titles. In 2007-08 he was a Visiting Research Fellow at the University of London's Institute of Historical Research; and he has also held visiting professorial posts at York St John University and at Ariel University, Israel. He is currently a Visiting Fellow of the Oxford Centre for Higher Education Policy Studies. Professor Alderman is the author, co-author and editor of some 16 books, including British Jewry Since Emancipation (University of Buckingham Press, 2014), Modern British Jewry (2nd end, Oxford University Press, 1998), Controversy and Crisis: Studies in the History of the Jews in Modern Britain (Academic Studies Press, 2008)and Hackney Downs 1876-1995: The Life and Death of a School (2012). From 1994 to 2004 he was an Associate Editor of the New Dictionary of National Biography, in charge of all post-1800 Jewish entries. He writes irregularly for the Guardian, the Times, Times Higher Education, the Spectator and the Jewish Chronicle, and is currently the author of a fortnightly column in the Jewish Telegraph. Amongst his numerous other publications are his birth announcement and a number of obituaries, including two (as yet unpublished) of himself. He appears frequently on radio and television as an authority on the Jewish world, the politics of the Middle East, electoral politics and issues of quality and management in higher education. In 2006 he was awarded the higher doctoral degree of Doctor of Letters by the University of Oxford in respect of his published work in the field of modern Anglo-Jewish history. At a ceremony in London on 6 March 2011 Geoffrey was named as the recipient of the Chaim Bermant Prize for Journalism 2011. In 2017 Geoffrey was elected to a five-year Senior Research Fellowship at the Institute of Historical Research to undertake research into the Jewish contribution to crime in the UK since the Cromwellian Readmission. Professor Alderman is a Fellow of the Royal Historical Society, the Higher Education Academy, the Chartered Management Institute and the Royal Society of Arts, and is a Member of the Chartered Quality Institute.